Click here for the NAFA database and breed statistics. 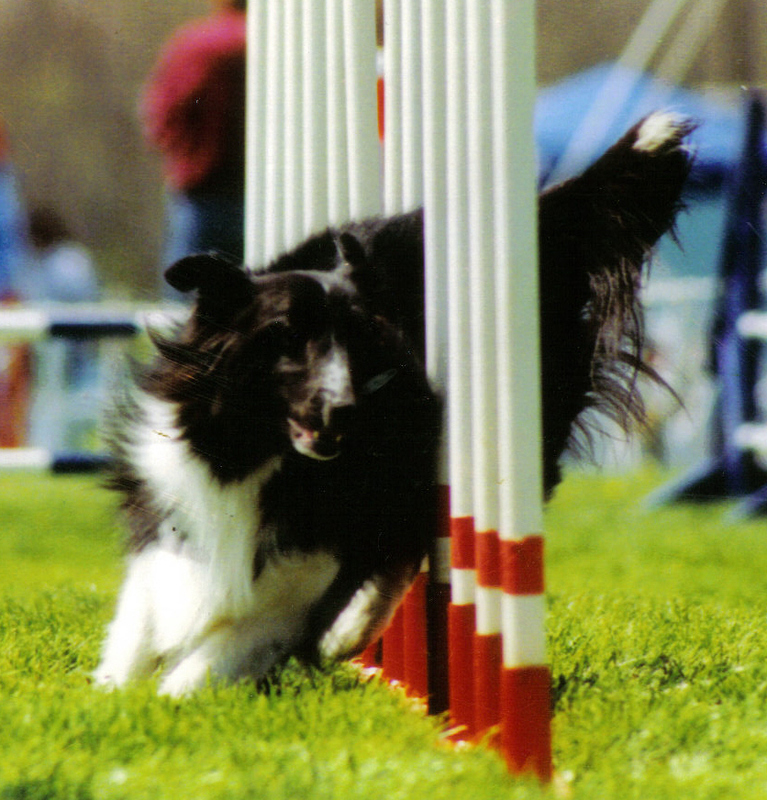 Flyball pictures on this page are photos by TTL Action Photography. Paisley belongs to David and Beverley Harvey of Fonthill, Ontario. She is a veteran, core members of the team. 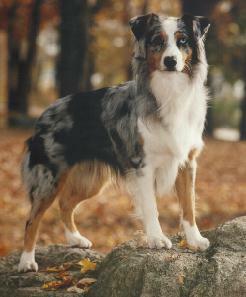 Paisley as of December 31, 2003 was ranked 56th amongst her breed. 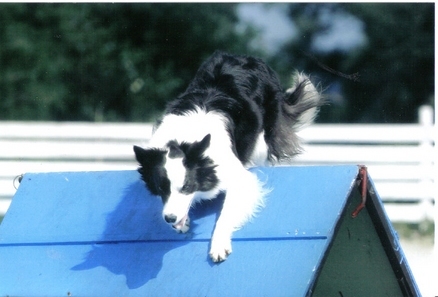 She was among NAFA's top point earners for 2003 and is currently ranked #33 of 1113 Ausralian Sheperds playing the game. Visit the website of Daverley Reg'd for more on Paisley and the other dogs of Dverley. Shania and Rythm are owned by Melissa Vig of www.metromuttz.com. 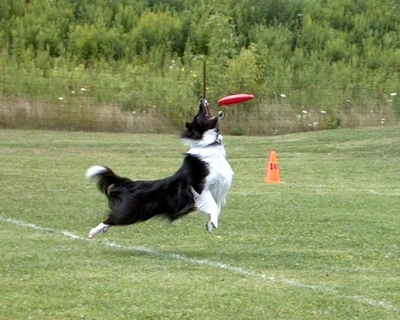 Shania is height dog for our new 2006 multi team and Rhythm is start dog for the all black and white regular team.